a.morecroft @ dnm.co.uk to book your demonstration. 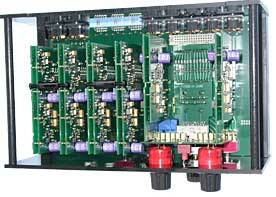 NEW : Read the First USA review of a 3D Primus pre-amplifier in Stereophile, written by Art Dudley. NB : Click on almost any photo below to see a much larger version in a new window. 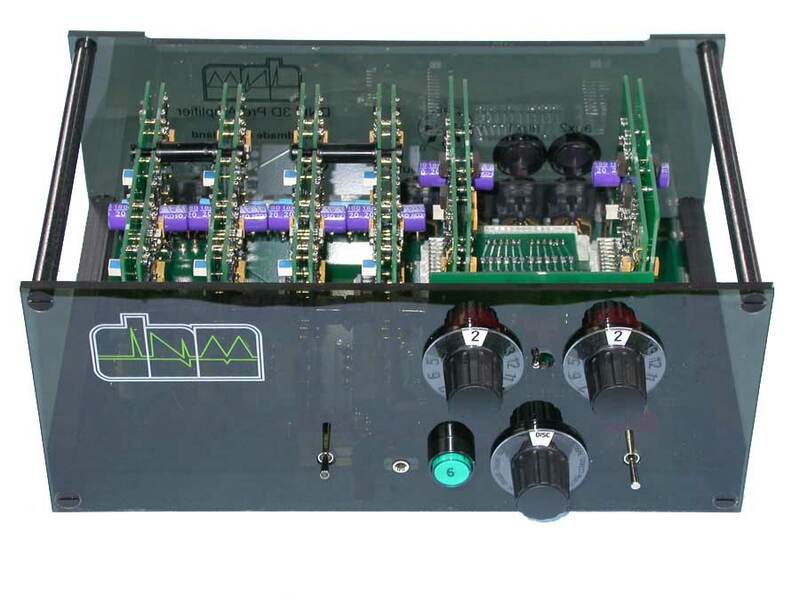 The DNM 3D is an ultra-high fidelity pre-amplifier that can select and control up to seven signal sources, including high level sources like CD, line level sources like radio and tape and two low level RIAA corrected vinyl sources. 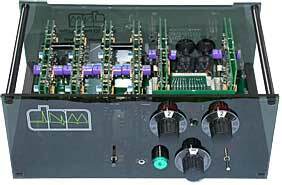 So, true to DNM tradition the 3D can be fitted with high performance moving coil or moving magnet amplifiers for vinyl disc replay - the 3D RIAA amplifiers are the best yet from DNM. 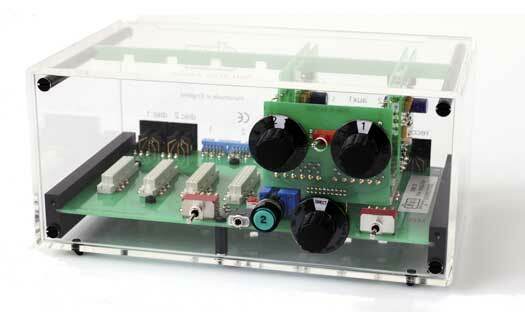 In addition the 3D is also a high quality headphone amplifier. 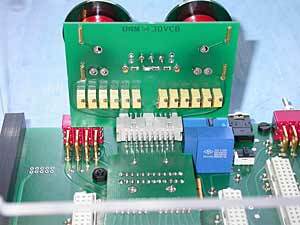 Vitally important for high fidelity, the form and materials used in the construction of any amplifier affect its sound as much as its circuit diagram. 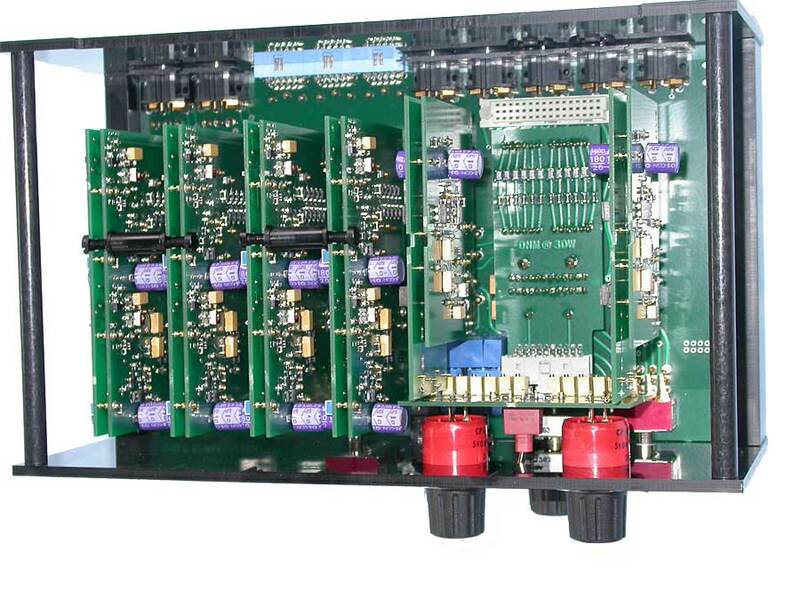 Amplifiers have many connecting tracks interweaving across the circuit boards and these interact magnetically with each other and with the electronic components. A magnetic haze, generated by the signal, interacts with the amplifier in a complex way destroying sound fidelity and the metal casework normally used further modifies the magnetic fields to produce dynamic compression. All the unique aspects of the DNM 3D are targeted to improve sound quality. 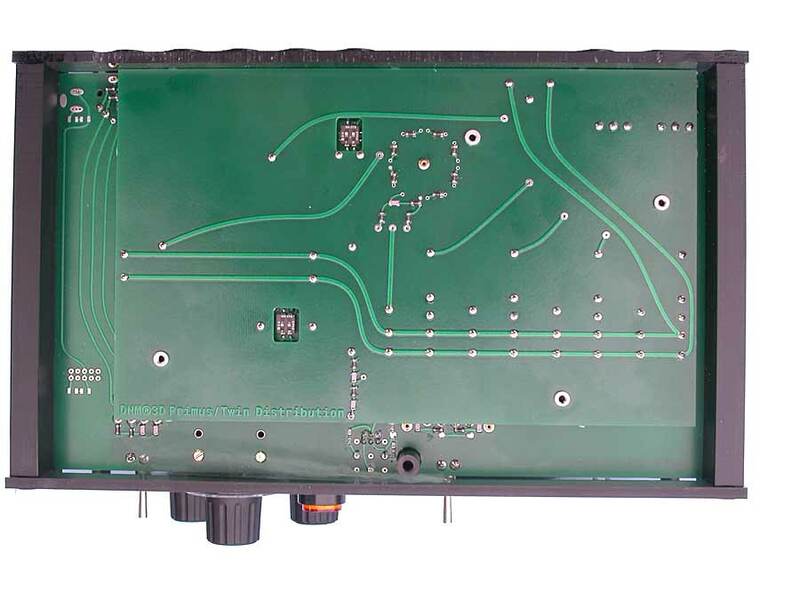 The design aim for DNM amplifiers has always been to achieve the best sound quality possible, so features that do not support this aim are not included in DNM products. At this time remote control is not possible, there are no micro-processors, no software, nothing that is not linked with optimising sound quality. Our customers have told us "if it doesn’t help the sound we don’t want it" and we remain true to that, if sound quality can be improved we will include a new feature regardless of the price but extra features cannot be used if they have a cost in sound quality. 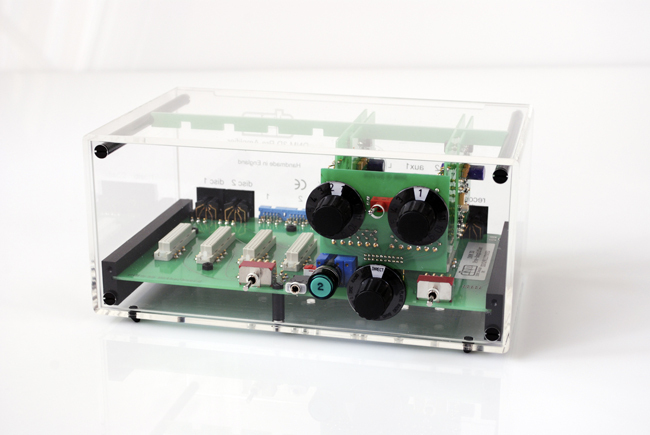 power supply distribution pcb, a four layer design. The design highlights listed below are all unique to the DNM 3D - they all contribute to improved sound quality. 1. Three dimensional design to control magnetic effects and exploit the use of printed circuit boards turning their use to advantage in the design. - showing the new power supply distribution pcb. 2. Anti-reflection circuits prevent high frequency signal reflections from damaging sound quality. This effect is known from DNM research on high frequency feedback. It is linked to the harshness of sound on digital sources because they stimulate high frequency reflections. Anti-reflection networks are integrated into the 3D's printed circuit design so all switched and open connections are terminated. 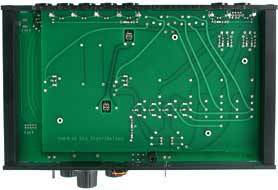 The pre-amplifier, as a hub component, is the ideal place to do this because it accepts connections from all system sources. 3. 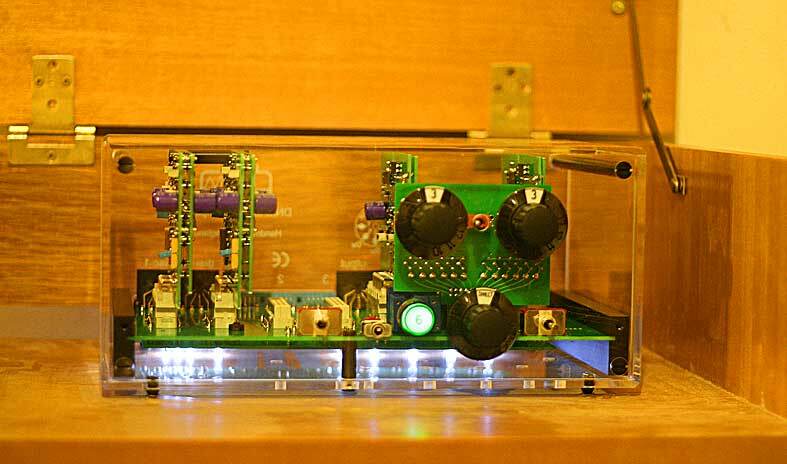 A world first, a 'spaced pair' signal path inside an audio amplifier! 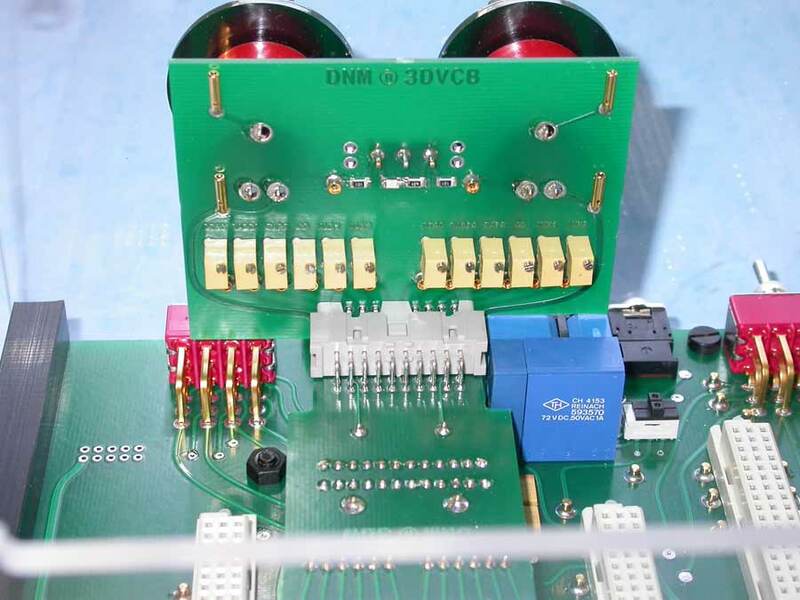 This is designed into the 3D pre-amplifier on a fixed spacing (like the DNM cable) giving an ideal magnetic interaction. 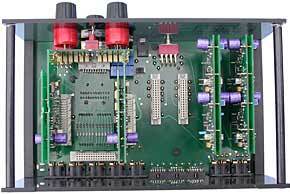 The signal and ground runs through the pre-amplifier on a fixed spacing (as in the DNM cable) and this is achieved by folding the circuit boards to create a three-dimensional construction that defines the electrical impedance. The result is better circuit performance, improved resolution and higher sound quality. 4. 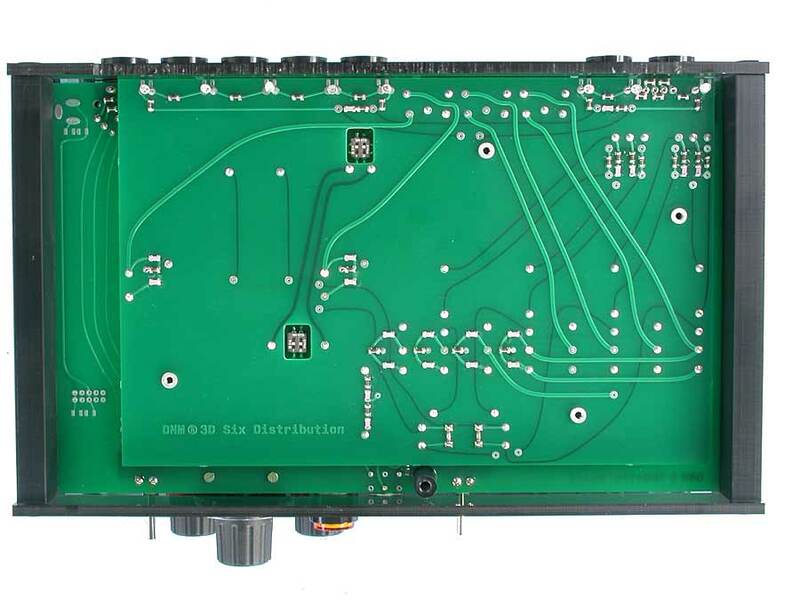 The 3D motherboard connection pattern is set by a power supply distribution board. 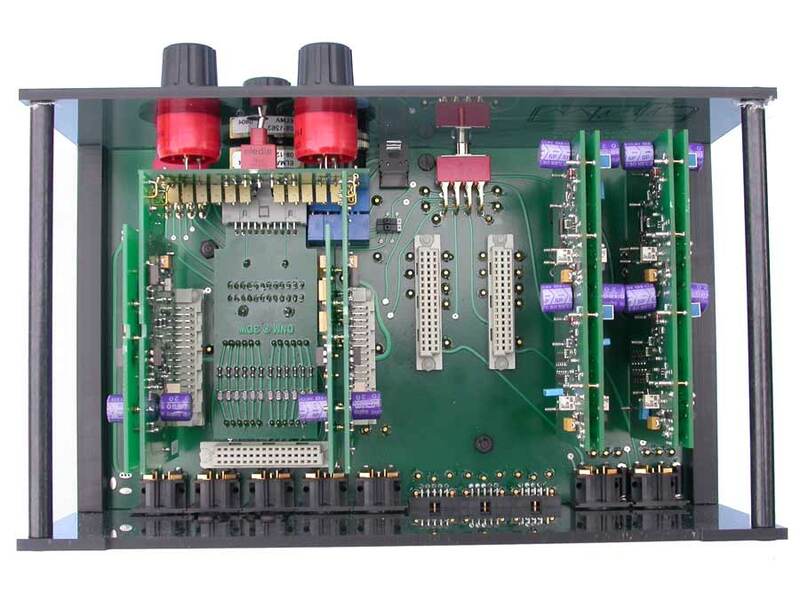 This defines the pre-amplifier's "wiring" and this board can be changed to adapt the preamp for single or multiple power supplies, optimising the pre-amplifier for each type of power supply. 5. New three-dimensional plug-in circuits with precision high frequency feedback correction ensure the highest sound quality and neutrality. The tonal rendition on the 3D is more accurate than in any previous DNM amplifier - enthusiasts will find new delights in their music collection whether CD or vinyl. 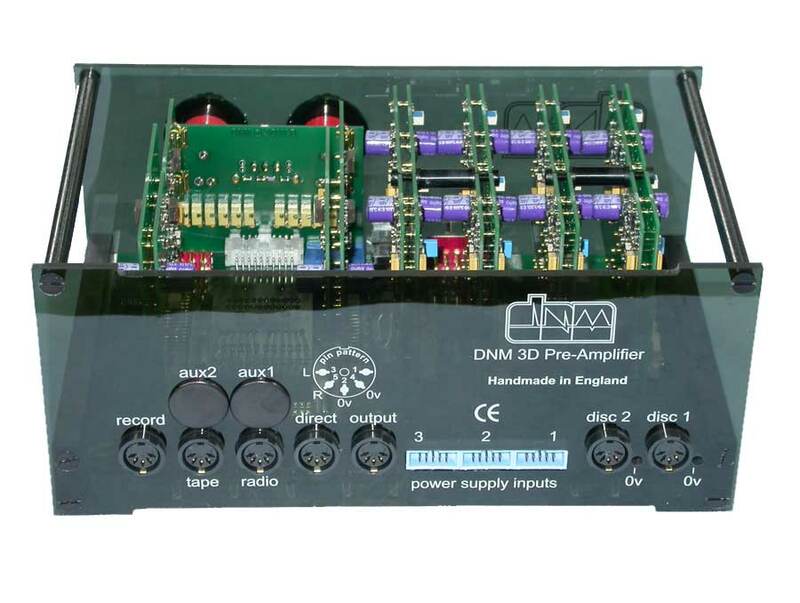 DNM 3D preamplifiers are optionally available with a clear case; this option displays the unique internal construction particularly well. DNM's non-metal materials technology used throughout the 3D to ensure zero interaction between the signal and the casework - a design principle that is still unique to DNM. It ensures unrivalled dynamic performance. Switchable mono capability (left) - really useful to improve sound fidelity on early 'messed up' stereo recordings. The 3D headphone output (right) is driven directly from the line output amplifiers giving much higher performance than any power amplifier. 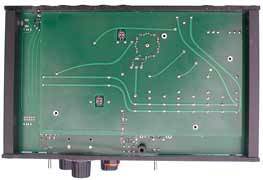 The design allows channel levels to be separately adjusted. 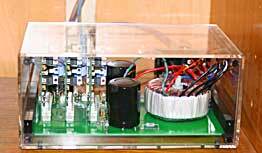 Its performance matches that of the best dedicated headphone amplifiers. NEW : Stereophile Review of the 3D Primus - March 2008. See the 3D UK Price list. 3D Operating Notes are now available (PDF format) - revised July 28th 2006. 3D Owners' Unpacking Notes are now available (PDF format). 3D Owners' Best Operating Practice was added on 22nd February 2007 (PDF format). 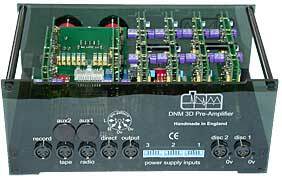 a.morecroft @ dnm.co.uk to book your demonstration of the 3D preamplifier.